Individual income tax returns are due on April 17, 2012 (tomorrow). If you need to file an extension to file your tax returns, you can do so by completing Form 4868 http://www.irs.gov/pub/irs-pdf/f4868.pdf – or online at any free third-party IRS approved vendor site http://apps.irs.gov/app/freeFile/jsp/index.jsp?ck. This is an extension to file your income tax returns… it is NOT an extension to PAY your income tax returns. The IRS announced last month it’s Fresh Start initiative program. 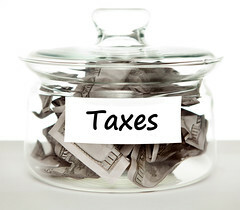 One part of this program offers relief to certain taxpayers in PAYING their taxes. To be eligible for this, you must have either 1) been unemployed for at least 30 days in 2011 and/or through April 15, 2012.. OR 2) been self-employed and had a 25% decrease in revenue (relative to 2010) due to the economic downturn. If you fall into one of these categories you can file Form 1127-A http://www.irs.gov/pub/irs-pdf/f1127a.pdf to request a six month extension to pay your taxes (only eligible if owing under $50k in taxes). As long as your taxes are paid by October 15, 2012 this program gives the taxpayer an extension to pay their taxes without the 5% per month late filing penalty. Interest charges will still apply. Remember, if you also need an extension to FILE your taxes, make sure your Form 4868 is also sent in by April 17, 2010. This entry was posted in Accounting, New Business Start Ups, Taxes and tagged Computer file, Form 4868, Internal Revenue Service, IRS, tax, Tax Preparation, tax return, United States. Excellent publish, very informative. I ponder why the opposite specialists of this sector do not notice this. You should continue your writing. I’m confident, you’ve a great readers’ base already!|What’s Going down i am new to this, I stumbled upon this I’ve found It positively helpful and it has aided me out loads. I hope to contribute & aid other users like its aided me. Great job. Great article. Thanks for the info, you made it easy to understand. BTW, if anyone needs to fill out a form 4868, I found a blank form here http://goo.gl/w7UW3F. This site PDFfiller also has some tutorials on how to fill it out and a few related tax forms that you might find useful.